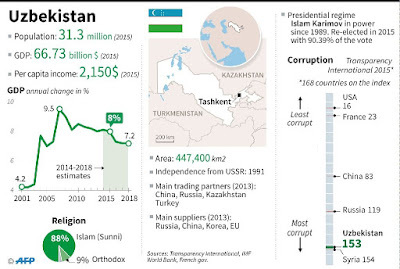 Moscow (AFP) - Uzbekistan's President Islam Karimov died Friday, the government announced, ending over a quarter of a century of his iron-fisted rule in the Central Asian nation with no clear successor lined up. 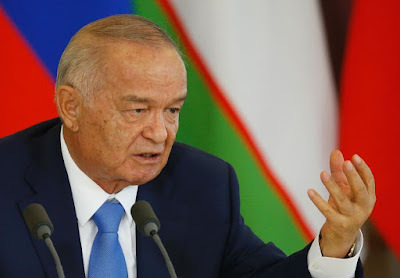 Authorities said Karimov, 78, was pronounced dead at 20:55 local time (15:55 GMT) following days of speculation that authorities were delaying announcing his passing after he reportedly suffered a stroke over the weekend. Loyalist Prime Minister Shavkat Mirziyoyev is heading the organisation committee for the funeral, suggesting that he could be in line to take over long-term from Karimov. Karimov's youngest daughter Lola wrote on Facebook that "he has left us...I am struggling for words, I can't believe it myself". Former Soviet leader Mikhail Gorbachev, who appointed Karimov to head the former Socialist Republic of Uzbekistan in 1989, told Interfax news agency that Karimov was "a competent man with a strong character". Rights groups -- which have long accused Karimov's regime of the most heinous abuses including torture and forced labour in the lucrative cotton industry -- said his time in power had been a catastrophe for Uzbekistan. 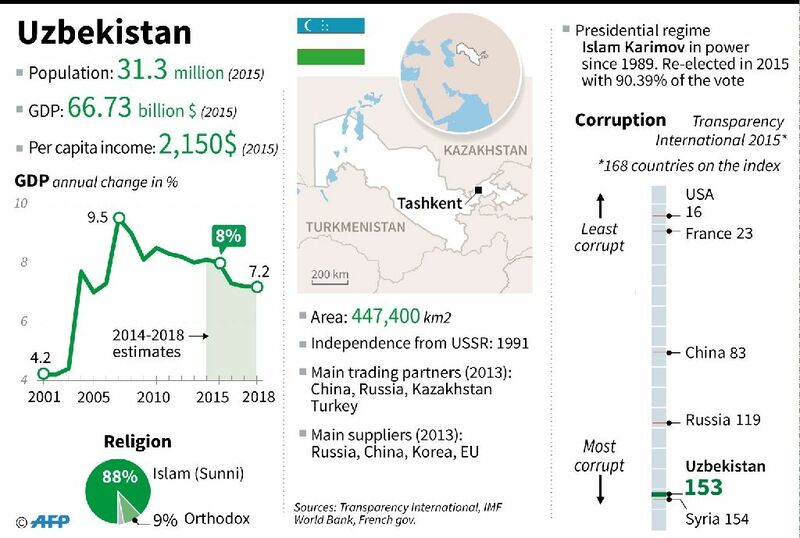 In the wake of international criticism over the alleged massacre, which Karimov's regime rebuffed, Tashkent shut down a US military base used to supply operations in neighbouring Afghanistan since 2001. Could e-residency offer a way around Brexit?